Gaelforce West brings out the poet in us! 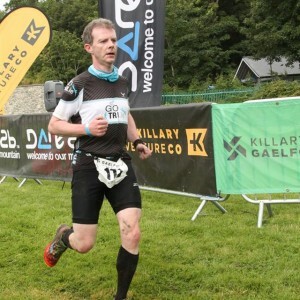 LOREN HARNETT – GAELFORCE WEST – Not just completing – competing! 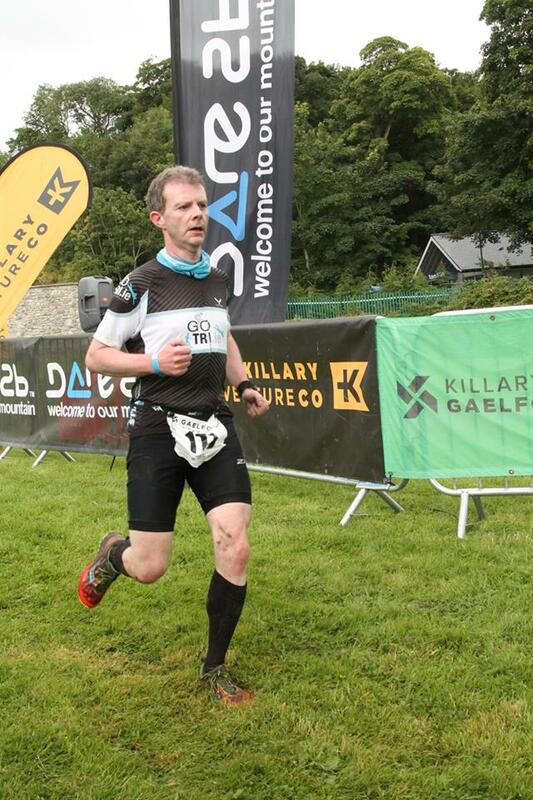 In 2014 I did Gaelforce for the first time, and I was delighted to finish the course in a respectable time of 5 hours and 19 minutes. Somewhere, and I’m not sure where, I remembered reading that it was a goal that many people chased to complete the course in under five hours, so I got that into my head, that it should be my target for this year’s race. For me for this year, there was no other show in town, and all other races we preparation for this one. We did the Dingle Adventure Race, which was a great weekend with the team, and also Moxie in July, as a final prep race for GFW. My main aim for Moxie was to come through it uninjured, so of course I picked up an ankle injury that really impacted my final few weeks of prep for Gaelforce. Fortunately, STL was able to help, and I went from being unable to walk properly, to feeling quite good on the start line, albeit I was taped up. We learn from our injuries, and I discovered compression socks – I will never do a race without them again! We had a very good training weekend in Killary two weeks prior to the main event, and in addition to the technical elements, we bonded as a group, swapping stories and tips and plans. Sometimes I think that when people hear “adventure racing”, that there is a view that we bring picnics with us and plan a day out, as opposed to the reality of a full on race from the very start. Our preparation is very detailed and thorough, and every place is fought for – Gaelforce was to be no different! The weekend itself was a real buzz – dropping off the bike in Delphi, registration in Westport, and meeting up with the lads and ladies of the GoTri team and swapping more stories and grabbing a bite to eat before an early night of restless sleep. I had dinner with my wife Jean, and in fairness, she did her best to appear interested when I told her (again) about my plans and targets. I made some changes to my nutrition strategy for the race this time. I went with a muesli mix for breakfast, along with hard boiled eggs and bread, rather than Porridge – I just don’t like it, and I used to force myself to eat it, but glad I made the switch. I had taped a banana to my bike which was to be my only solid food other than the power bar gel shots, and all my liquids were carb / protein mix and I had some iso gels for the first run and Croagh Patrick. It was minimalist to say the least. The morning itself started early – I headed across Westport to the bus, passed people still leaving nightclubs, stepped over fresh chips strewn all over footpaths, started to meet the lads again and the nervous energy was nearly visible. I shared the bus trip with PP and we chatted about this and that, and before we knew it, we were standing by a beach, in the dark, getting the final briefing. We met some more people, including Michael, the chairman of Boru Tri Club that we had done some training with, shook some hands, wished each other well. I set my watch – I decided not to bother with the different stages of run, cycle, Kayak etc., all I was interested in was elapsed time. I had 299 minutes to get from Glassilaun Beach to Westport. It was time to start the clock. The target for the first run (14k) was 75 minutes. It’s got a bit of everything terrain wise, but a good start on the first 2k uphill was important. Once you hit that top, there is a nice downhill on the road, before a turn onto the trail along the Fjord. The plan was to maintain 10k race pace on any flat sections, push hard wherever possible, and keep concentration to not slip into an easy rhythm. My leg was giving me very little trouble, and I was feeling OK. Paula, our newest member, passed me at one point, and I decided to use her as a pacer, which helped. All went well, and I arrived into transition after 72 minutes, 3 minutes ahead of target. I dibbed in at the Kayak transition, and saw Martin, exchanged a few words, and I then realised that there was no need to be hanging around, so promptly dibbed back out in about 30 seconds, and hopped in a Kayak, then cursed myself, firstly for not dragging Carey into the boat, as I know how strong he is, and secondly for wasting time in transition. Even though I was officially timed out, that time had to be included in my overall time for my sub five hour attempt to be valid (at least in my own mind!) No problems on the Kayak, me and my partner made it across in about 9 minutes, and headed out on the short run across the bog and along the road to Delphi. I had managed to keep Paula in my sights through the run, and I eventually caught up to her again as we entered Delphi. I was actually surprised at how well my legs were working at this point, but I was concerned that my times were slipping. I was two minutes slower over the second run than planned and now barely on target schedule. It was quickly on to the bike after that, and a chance to rehydrate (gulp down some fluids) and get some food in (my solitary banana) before the major climb, about 9k in. It’s not a serious climb, but after the tough run, the cramps are never far away. I had decided to take a Dioralyte early in the bike, and I think this helped, if only psychologically to stave off the cramps in the calves. I was on my own for most of the time, and I was caught on said climb by Niall and Martin, both of whom effortlessly breezed past me. This was good and bad – bad because I was not moving as fast as I would have liked, but good in that I thought that Niall was already ahead of me, and he gave me a nice compliment about my first run, that I got a great boost from. I passed Kevin near the top of the climb, and he was cramping badly, but he recovered very well. My target for the bike section was 90 minutes, or ten minutes faster than last year, and I needed to be hitting transition at around 3 hours and 10 minutes, to give me time to get up and down Croagh Patrick, and complete the final bike / run on time. The final part of the first bike is a challenge, and here I met Joe, who was doing very well, but ended up having a torrid time with two punctures. I ploughed through the bog road and rolled into transition on time, and was disgusted to be directed to the end of the field to drop my bike. “Do you not realise that I am on a schedule here?” I almost said (roared) to the marshal, but of course I saved my energy, dropped the bike where told, and headed up the holy mountain. I had managed to stay just behind Martin, and we both decided to head straight up the side of the mountain, rather than use the zig-zag. I figured it was worth a try. From the dib in point, to the side wall of the church is the hardest 40 minutes that anyone can put down, but it was made easier as I met loads of GoTri folks who were at various stages of descending as I was going up. Paul was first, and he wasn’t looking his usual self (fell off the bike, twisted both ankles and cramped in both calves, and still finished 16th). He was followed closely by Declan, Stephen, PP, Mike and Niall as I moved up the mountain, and I was constantly looking at my watch hoping that I hit the summit well before the 4 hour mark. I got there at around 3 hours 50 minutes, dibbed in, and turned and ran – I now knew that all going well, I could get home on time. I passed Martin on the way down, and then was promptly passed by Kevin, who was moving so fast I thought he was falling – it was impressive, very impressive! We had decided at our training session that after the dib point half way down, that we would take the short cut down the side again, and this worked very well. The most enjoyable part of the whole course is the run from the base of the mountain back to the base station across the soft grass – you can open it up and have some fun! I was delighted that just 17 minutes after leaving the church I was back on the bike, and heading for Westport. It’s a fast start on the bike, and then you get turned onto a technical rough terrain where you have to decide whether to cycle or run with the bike. In Ireland, there should be a standard question for anyone selling a second hand bike. “Has this bike ever been used in Gaelforce?” The battering that the bike gets on this stretch of the course is hard to imagine. I decided to cycle as much as possible of it, and other than for one dramatic fall (well, two, but only one resulted in a blood injury! ), where I nearly went over the handlebars, and frightened the life out of the chap behind me, things went OK. We ran one small bit near the end which is really bad, and quickly hopped back on our bikes and pedalled like mad. Once you come back out onto the main road, it’s a fast sprint back to transition. At one point, a lad pulled up beside me, and we exchanged words about how tough it had been. “Were you in wave 1?” I asked him. “I was” he said. “Well, if we push on, we have a chance to get in under the five hours” I said. “Let’s go so!” he said, and we took off again at full tilt, ignoring all sorts of aches and pains. We arrived back into Westport harbour area, and had to dismount at what felt like a mile from the bike drop point. My legs felt like they were in shut down mode, but I pushed the bike to where I was told to drop it, and drop it I did, flung the helmet down someplace, and looked at my watch. Four hours and forty one minutes had passed since the start, and I knew that there was only a ten minute, 2k run to the line. I’d done it. It was such a relief, and I took off on the final run very happy with the day’s work. 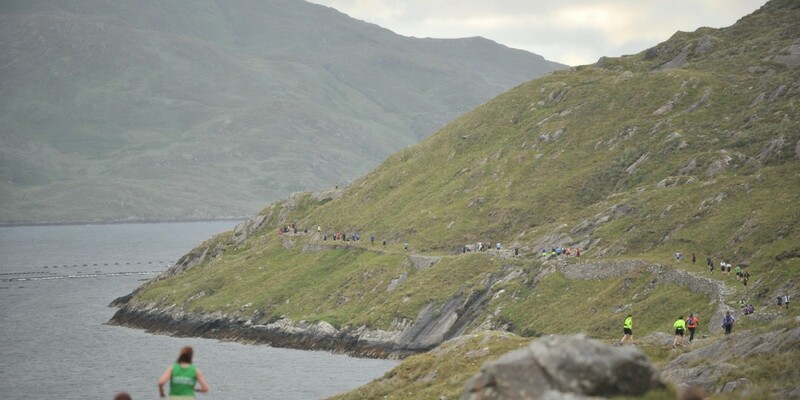 The run through Westport House and its trails was a fitting finish to the race that pushes you all the way. You can hear the crowds in the distance cheering, and it gives you a lift in the final few hundred meters. No matter how hard the day, everyone manages to sprint the last hundred meters to the finish, and I was delighted to cross the line in 4 hours 51 minutes, and meet the lads that had already finished. I had improved by 170 places over the previous year. I would have been very disappointed if I had not made it, but anything can happen in these races, so just glad to be over the line. I remember a line from PP, who said it is only a good day when everyone finishes, so the next thing was to cheer on the other team members that were still making their way around. It did indeed end up being a great day – everyone over the line, most were happy with the day, including some that battled through illness and injury, and who didn’t let the course beat them. Special mention to the supporters that came out to cheer on family – we all understand the sacrifices you make so we can run and cycle around the countryside – special mention to our youngest supporter Emma! It was a pleasure to train and race with the GoTri members and friends; congratulations to everyone on a great race, and I look forward to the next one already.